This is a cool new site. It has inspired me to add a little article. 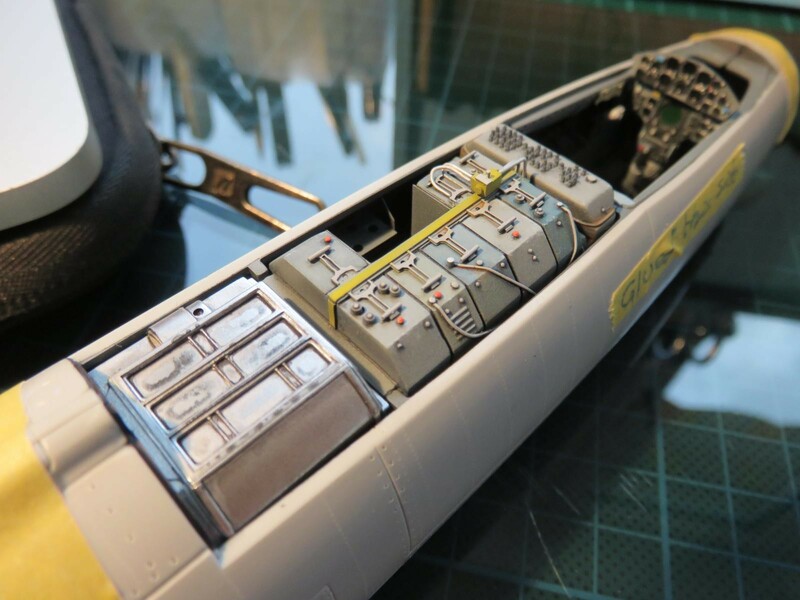 I’m building Italeri’s 1/32 F-104C. It’s a decent kit but lacks the refinement and detail you might find with some other manufacturers. I was drawn to the scale and subject matter, and decided to throw everything at it – after market, scratch building and as much time and patience as I could muster. 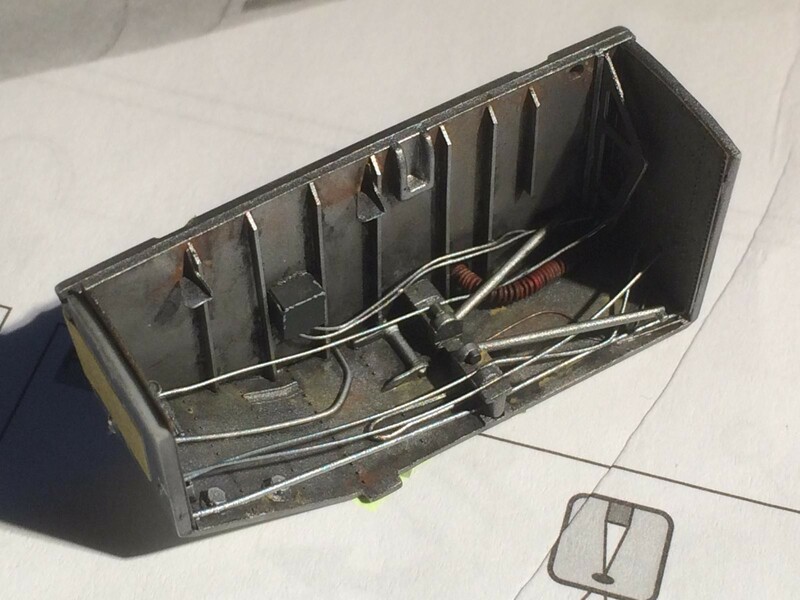 My aim is to make it the best model I’ve ever made. 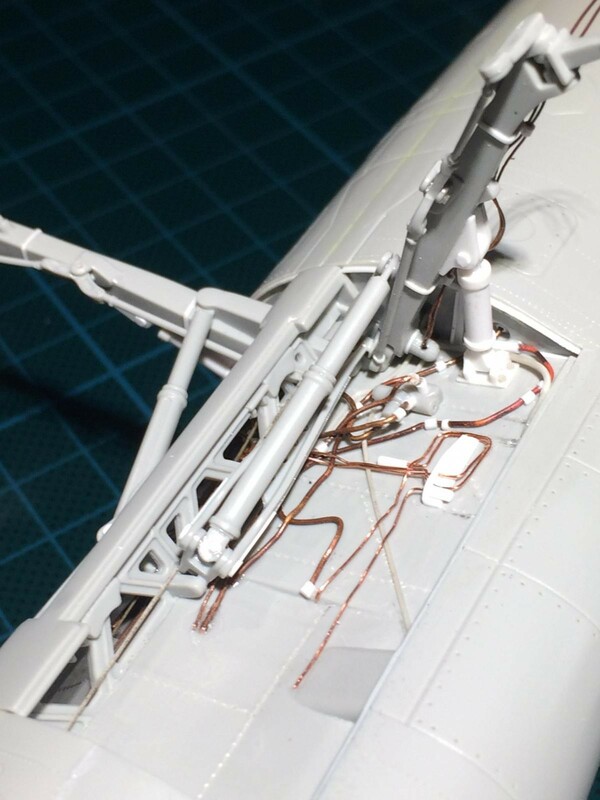 The full blog is over on Aeroscale, but here are a few shots of progress to date, for this new and interesting site. Well done, Stephen. Great detail and care. Lookin’ pretty good so far….and let me add my welcome as well. 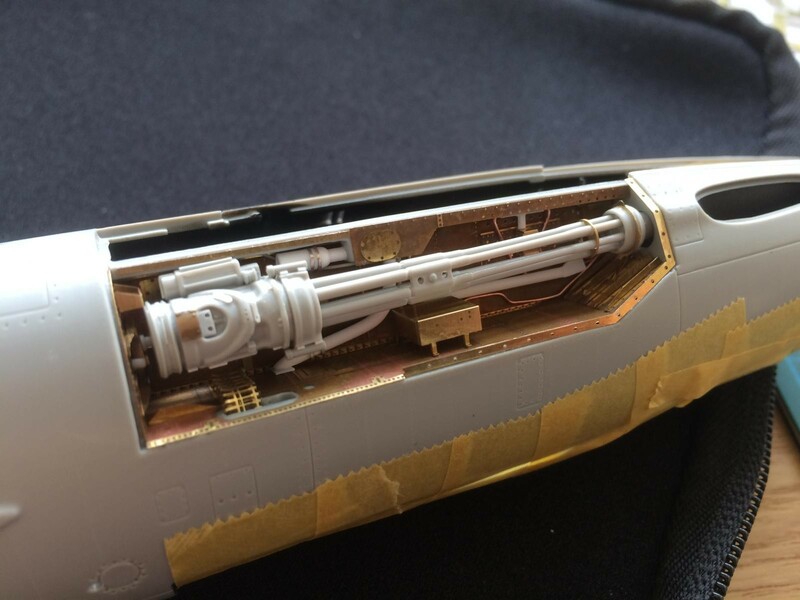 This 1/32 scale shows us all, that the possibilities for “fine-tuning” are endless. I admire scratchbuilding very much and this is an example of how well it can be done! Very good build! I never knew that F-104s served in Vietnam! Learning something new every day! Thanks very much for the warm welcome. This one is a labour of love, and I’ll be sure to keep you updated. Any advice and comments are very welcome too. Master modeling, for sure. Great work. Time taken to complete what’s done? Such detail! , looks great. Looks like it’s gonna be a beauty! Thanks for the encouragement. You are too kind. I hope to post some more pics soon. It took a while, but finally the gun bay and Vulcan cannon are finished. Eduard’s photo etch really comes into its own here. 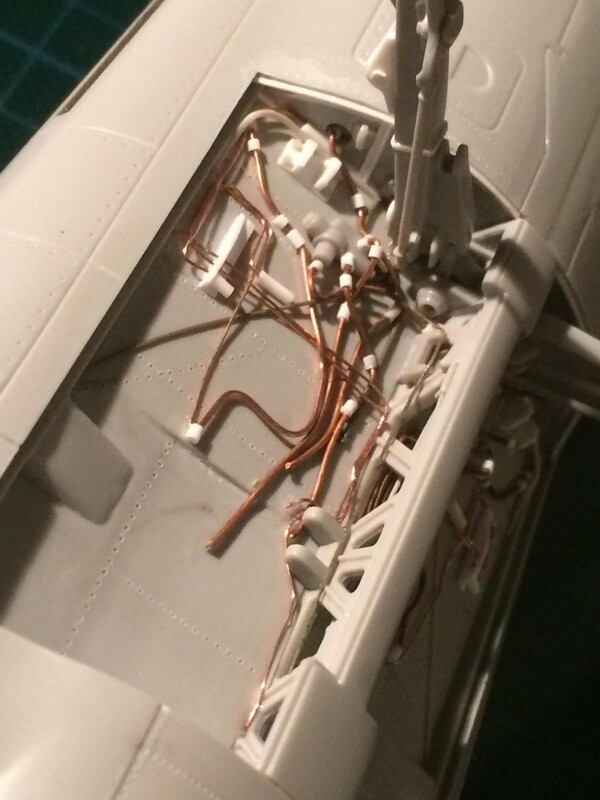 For the first time since starting this kit I have a completely empty fret – I used every bit of PE provided. With a few extra items scratch built, I now have the best I could do. 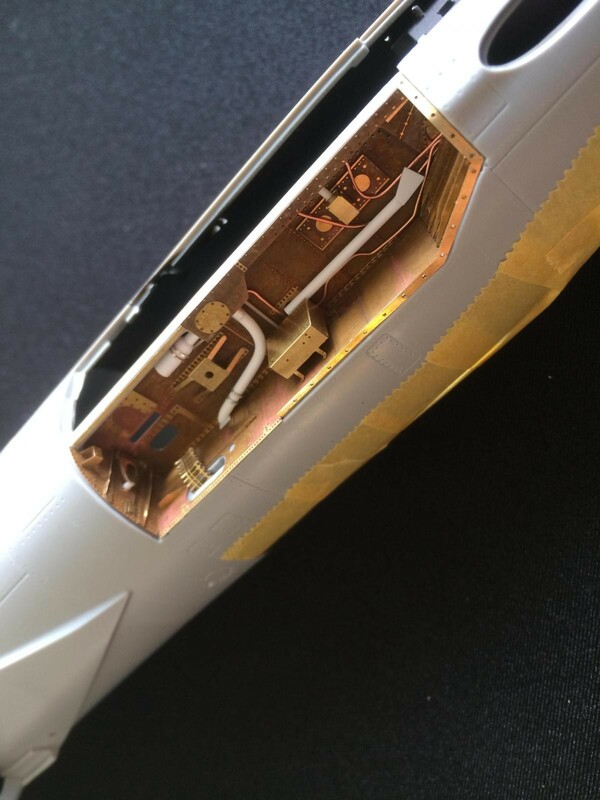 The photos show up some filling and refining that’s needed, and also remind me that I have a couple of missing details to add on the M61, but basically this is it. It’s not an exact replica – I had to compromise so I didn’t go mad or attempt things beyond my skill – but in keeping with the theme of this build, I gave it my best shot. I’m excited to move on to the next step. 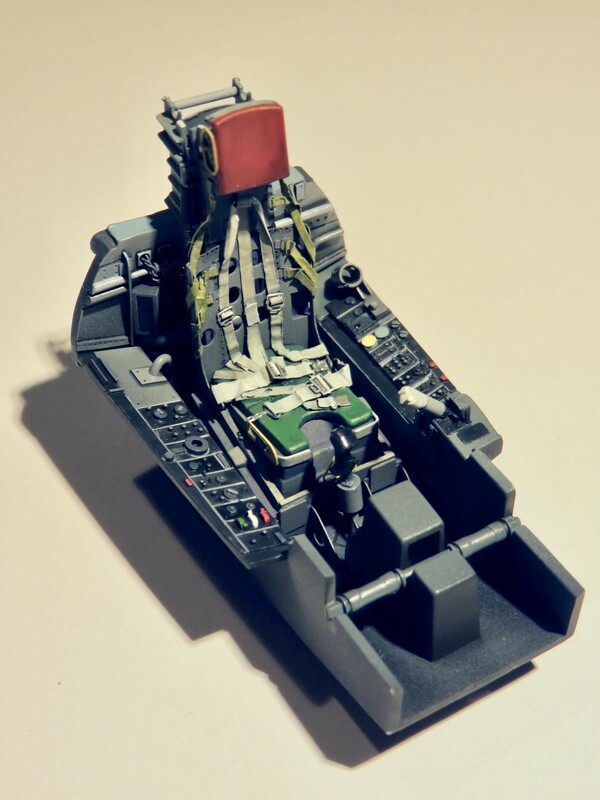 Here’s the gun bay with and without the M61 dropped in place. 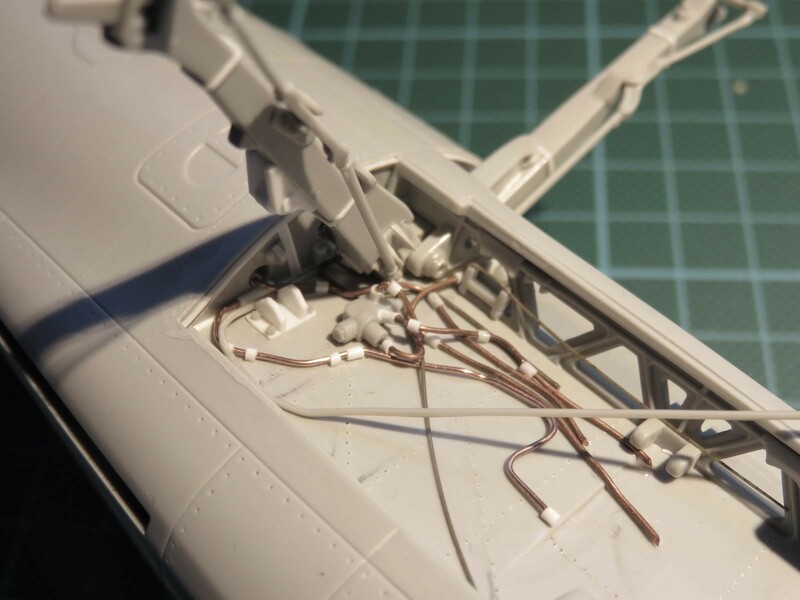 Recently I’ve been working on the undercarriage. 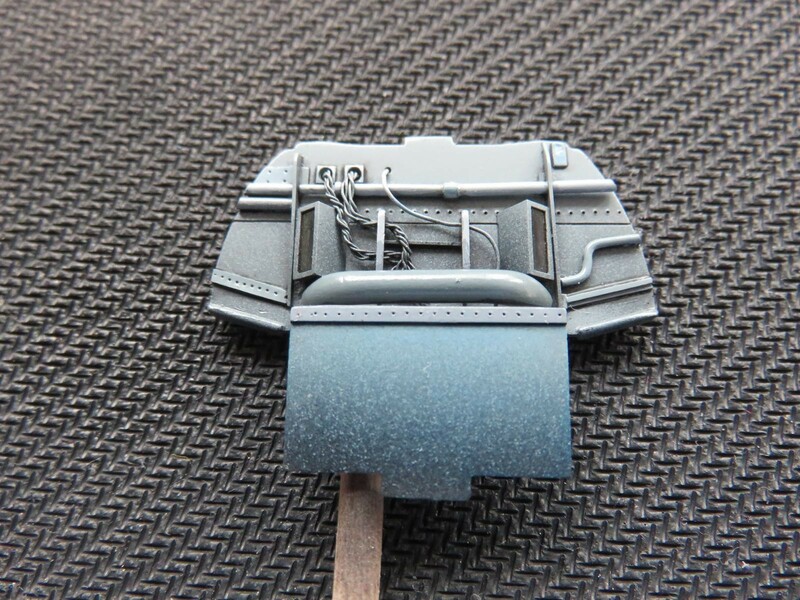 The basic detailing supplied in Italeri’s kit wouldn’t do for the approach I am taking. So, the kit supplied detail was removed and I scratch built replacements. 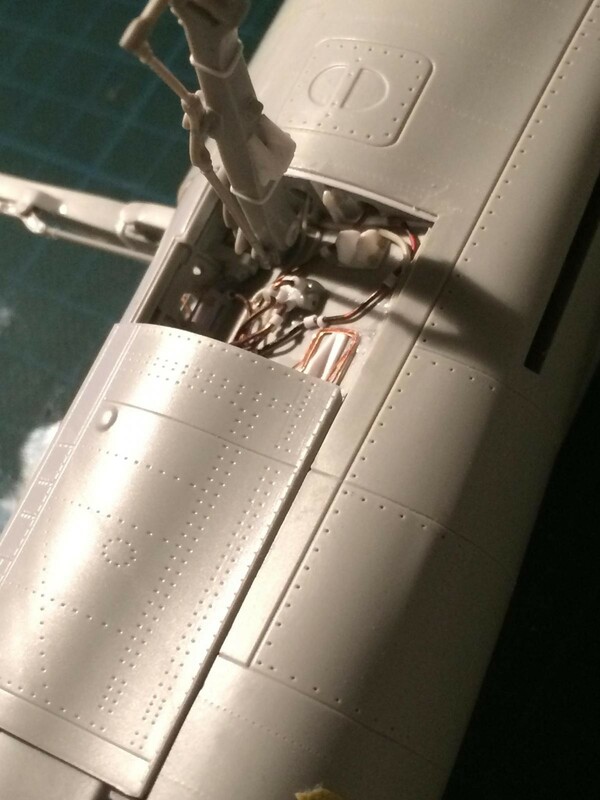 You can see the partially complete and painted front wheel well and the main landing gear bay ready for paint later. 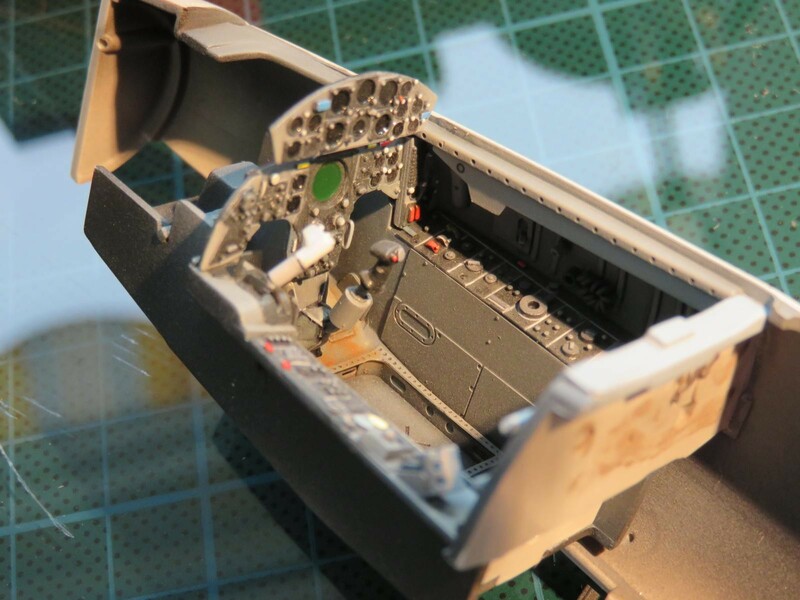 If you’re wondering why the detail stops about half way, it’s because there is a door that covers the bulk of this area when the F-104 is on the ground. There’s a photo of one I dry fitted.